Working out since the '90s! 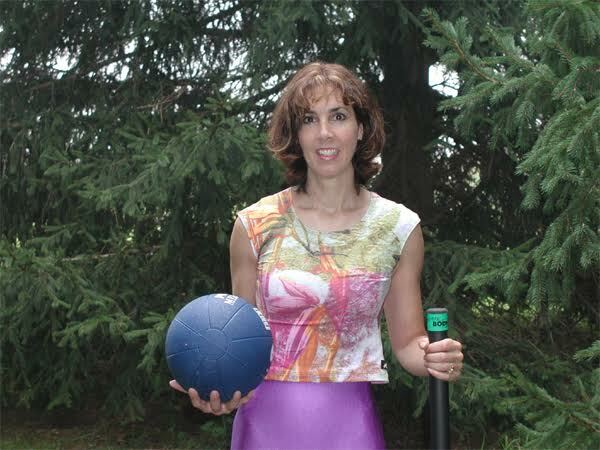 "Susan is a terrific trainer with whom I've taken classes in yoga, Pilates, and toning, as well as private lessons in weight training. Her routines always vary so there are no ruts to fall into, She stays ahead of the knowledge curve. She's kind but motivating, and her group classes are small enough that everyone receives personal attention. She knows modifications if any are needed and is able to teach classes with many different levels of experience without any difficulty or anyone getting shortchanged. Wonderful exercise resource!" Each of us comes from a different background. While some have been athletic their whole lives, others have suffered various illnesses or injuries making it difficult to do much in terms of exercise. My role is to find those physical activities you are capable of safely doing and that you will enjoy and want to continue with. 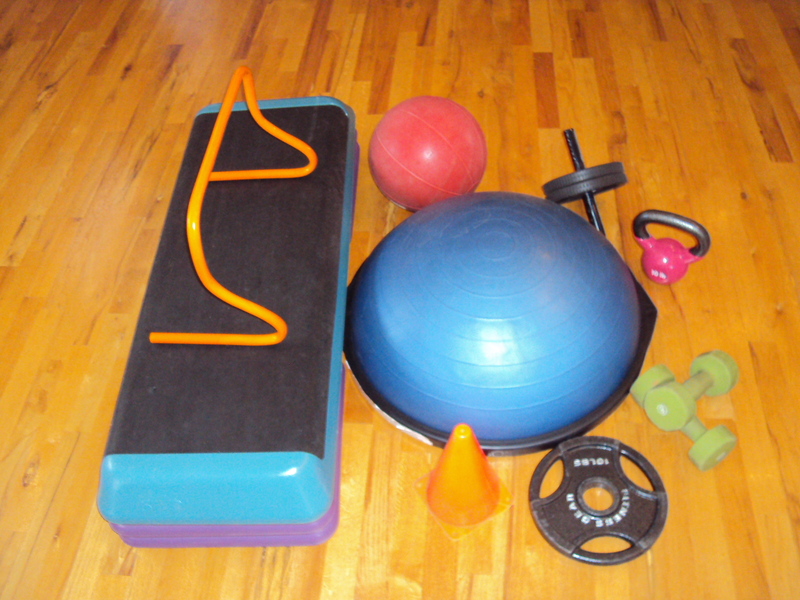 You'll notice I'll change the workout with each class or training session and I like to incorporate several pieces of equipment -- so that you and your body never get bored! 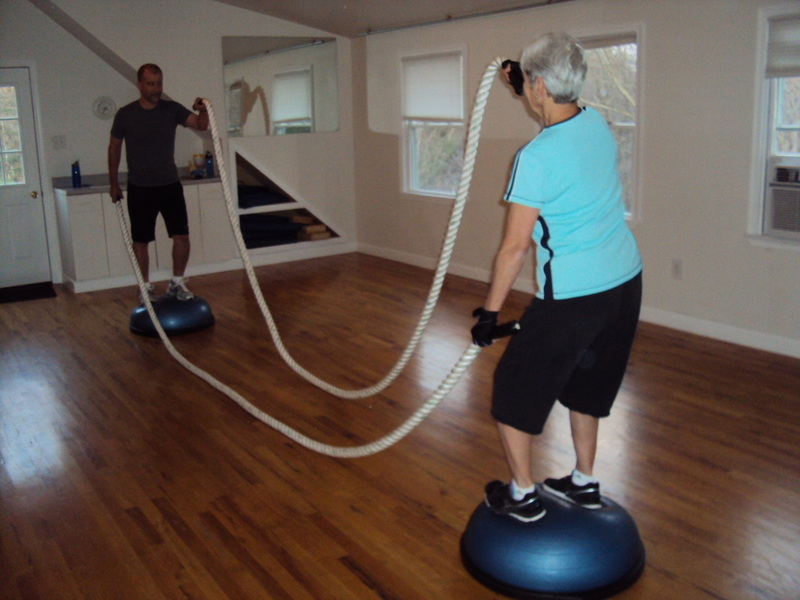 Clients share the studio space and work out at their ability level. 'Challenging moves' and 'modifications' to exercises are always included. Learn how to use various pieces of equipment such as medicine balls, BOSU's, dumbbells, Body bars, flex bars, aerobic steps and more!